GE, together with its company Concept Laser, has launched a beta ATLAS laser powder bed fusion metal 3D printer. The printer, first reported exclusively by 3D Printing Industry in April and formally announced in June is notable for its large build volume and customisability. 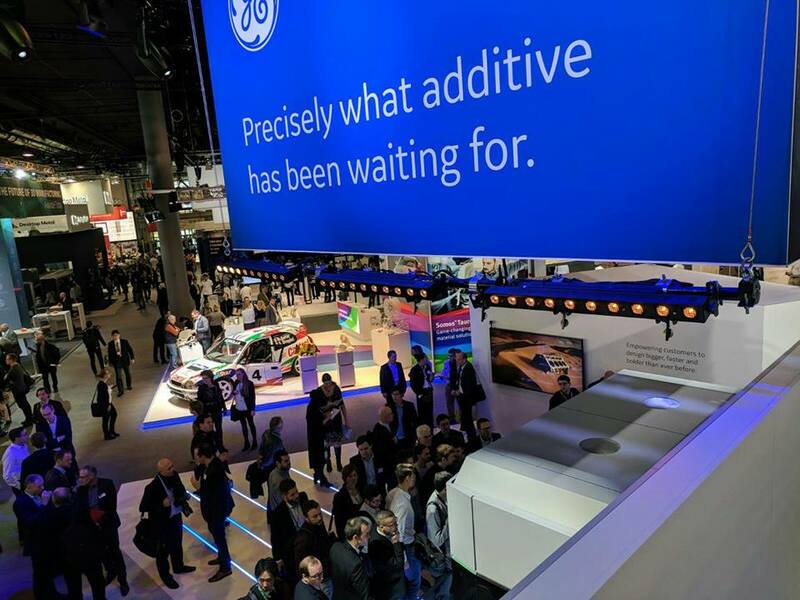 The 3D printer is the first in GE’s Project ATLAS series (Additive Technology Large Area System), a program across GE Additive, focussed on the development of large additive machines. The printer features a build volume of 1.1 x 1.1 x 0.3m, along the X, Y and Z axes respectively. This build volume is larger than Concept Laser’s largest machine to date, the X LINE 2000R. The ATLAS 3D printer prints using a gantry-based architecture and a 1kW laser, with which a 3D scanner is able to “translate” an object. Within the printer’s build chamber, discrete dosing saves powder and costs, while calculated air flow over the print area allows greater control over print quality. Process and machine health monitoring are enabled by GE’s Predix software. A 3D printed component at GE’s formnext 2017 booth. Photo via Michael Petch. The ATLAS 3D printer will be ideally suited to large complex metal parts in the aviation, automotive, space and oil and gas industries. The printer’s scalable capabilities allow it to be configured and customized for specific industry applications. Complex geometries with high resolutions can be produced using the machine’s inbuilt laser, or improved using the capacity to incorporate additional lasers. For larger 3D printed objects, the ‘Z’ axis to can be extended to 1.0m and beyond. The GE booth at formnext 2017. Photo via Michael Petch. The printer was developed in 9 months and is set to be manufactured in Lichtenfels, Germany and Cincinnati, Ohio. It is set to be released initially to a set of beta testing customers, before being released more widely in 2018. Unveiling GE’s latest machine, Mohammad Ehteshami, Vice President and General Manager of GE Additive, explained that “irrespective of industry, every customer has its own specific needs and its own unique levels of complexity. GE is exhibiting at formnext 2017 in booth E30, Hall 3.0 until 17 November. For more product launches from formnext 2017, subscribe to our free 3D Printing Industry newsletter, follow us on Twitter, and like us on Facebook. 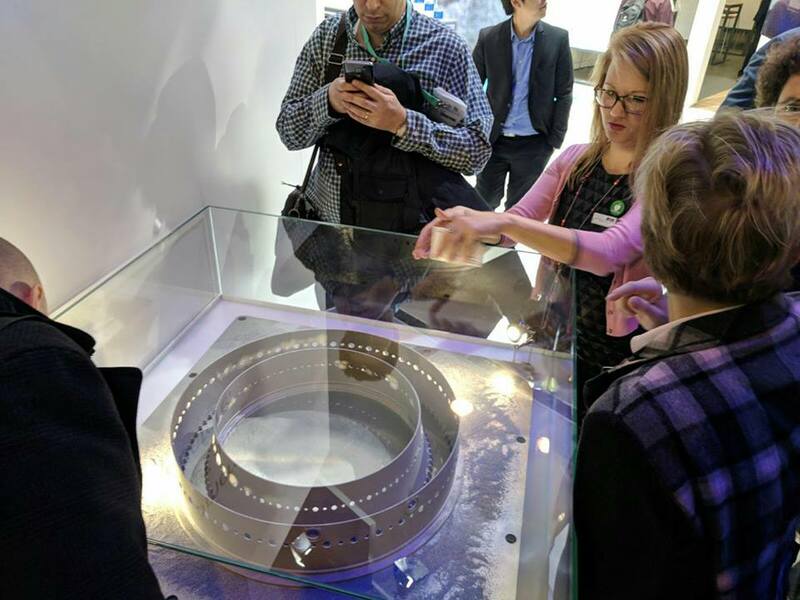 Featured image shows GE unveiling their ATLAS metal 3D printer at formnext 2017. Photo via Michael Petch.